The relationship between roommates Andrew Hayes and Sam Kimble has degenerated significantly since the start of this semester. The two sophomores became acquaintances their freshman year and discovered a shared interest in Barstool Smokeshows, cupcake Tuesday, and pretending to like football during playoff season. This past February, they embraced the decision to live with each other. Hayes, approaching the Dead Fox out of desperation, explains how their golden relationship faded as soon as they moved in together. “All he does is snapchat his girlfriend and talk about fantasy football with his friends from home,” Hayes explains. “That fucker doesn’t even care enough to ask if I hooked up with any girls at Union on Saturday night.” Dead Fox sources tell us that the answer is always no. Kimble insisted that he closes the blinds because he just doesn’t like the glare on his computer screen, but Hayes remains skeptical. He has reportedly begun leaving dishes in the sink and spilling beer on the table in an attempt to instigate a reaction from Kimble. This method did not succeed, and Hayes realized he underestimated his roommate’s passive aggressiveness. Instead of yelling at Hayes, Kimble would simply clean all the dishes and wash the table – sometimes in utter silence – as his roommate watched with amazement. Hayes is positive that these actions are not simply a concern for house sanitation, but rather a subtle sign that Kimble wants to put his head through a plate glass window. “If only he would do that to me for real,” said Hayes. Hayes has continued his attempts to instigate Kimble. He has recently tried tying Kimble’s shoelaces together, changing his fantasy picks, masturbating on his side of the room while he was present, throwing out his unopened food, and eating all of his chewy Chips O’ Hoy. “I would never be passive aggressive to Sam,” says Hayes, dumping Kimble’s perfectly good eggs into the garbage. 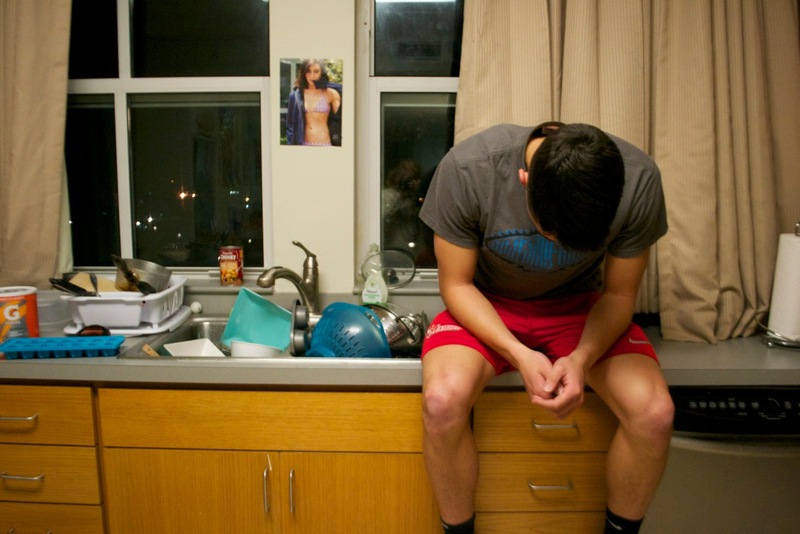 He remains upset about the lack of arguments with his roommate and has recently joined an argument clinic to seek help. November 19, 2013 in On-Campus.